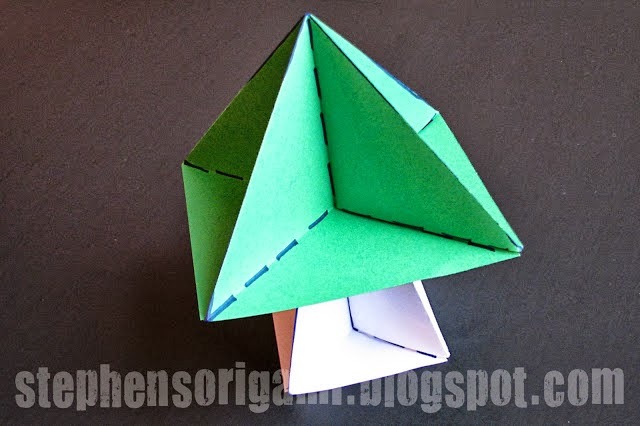 3D Christmas Tree Origami- Today I gonna share one of the best Christmas Origami I found. 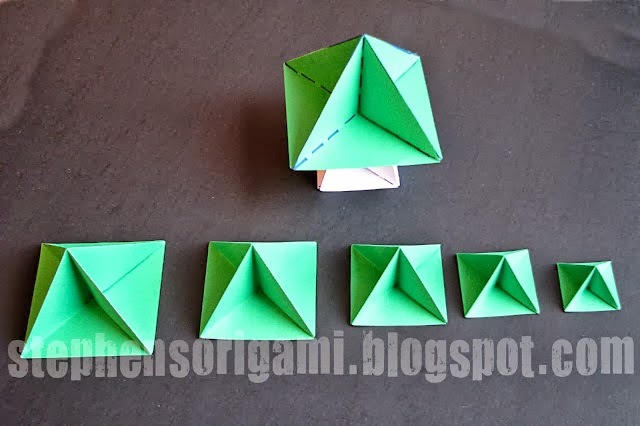 I found a step by step tutorial and I would like to share it to you. 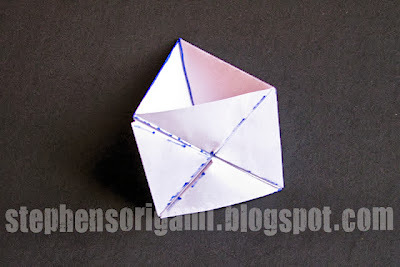 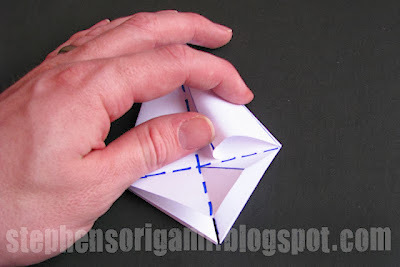 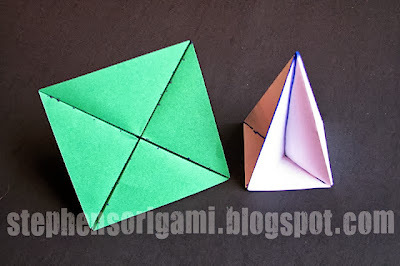 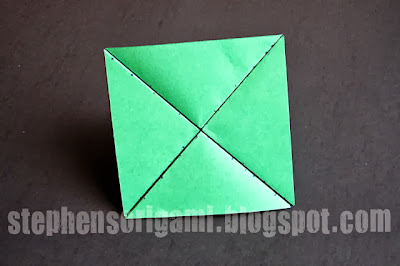 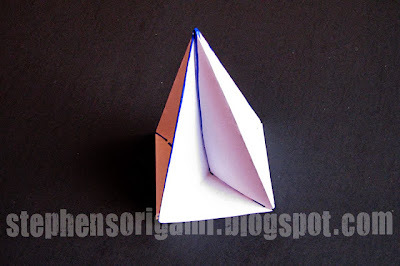 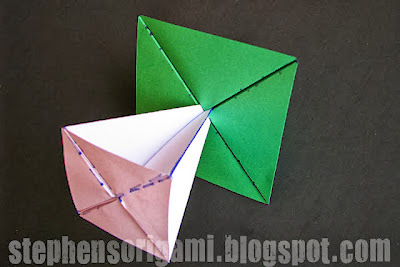 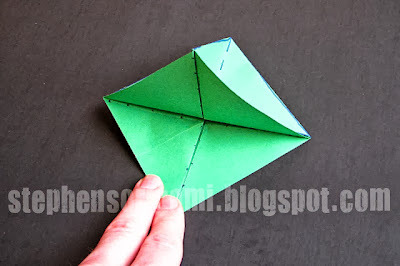 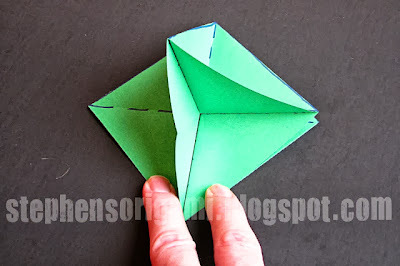 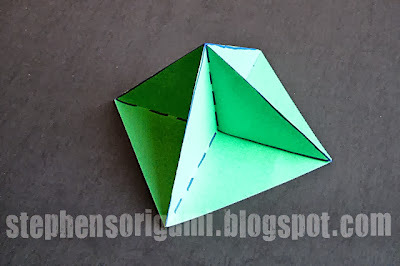 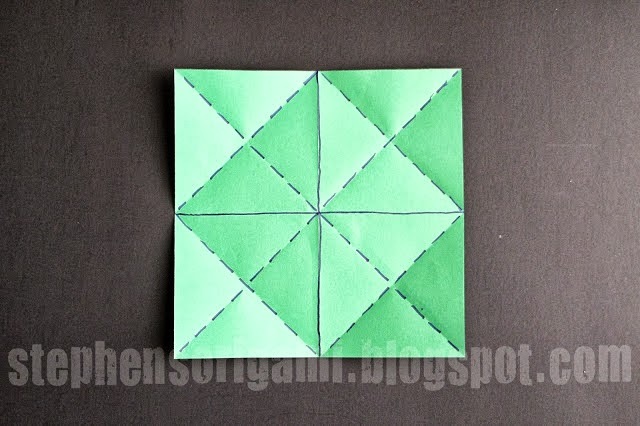 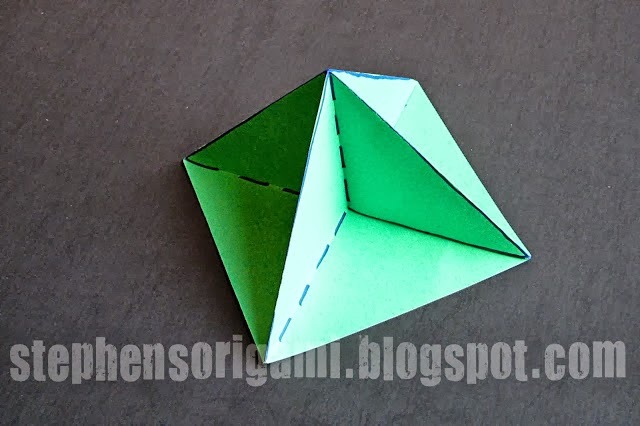 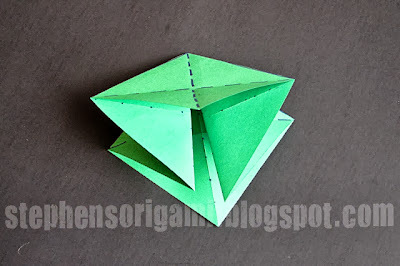 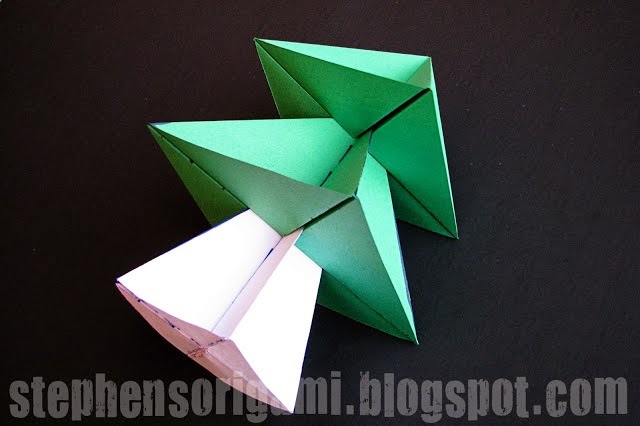 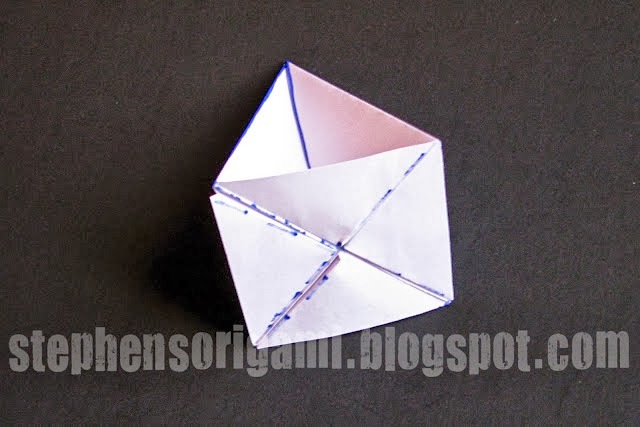 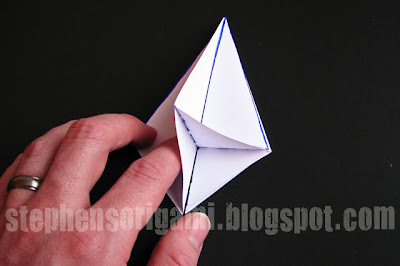 This origami is created by stephen on his blog Stephensorigami on blogger. if you want to know about him or if want more origami just click the link above. Note: All photos are from stephen's blog. You can choose what size if paper you gonna make. 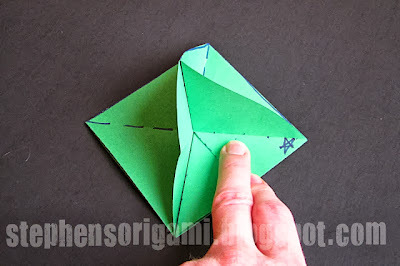 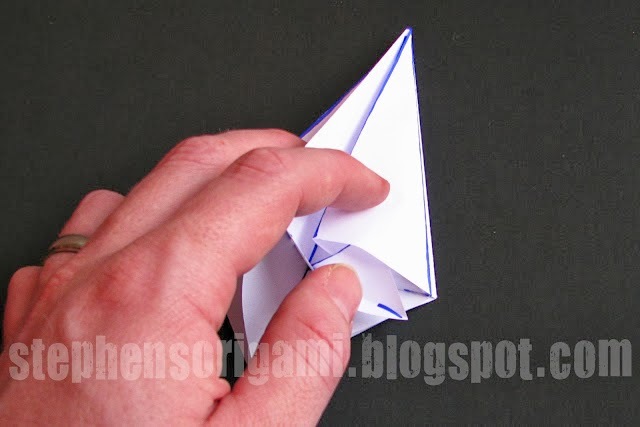 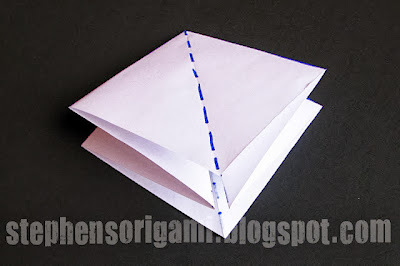 This next step is often called the preliminary base or bird base in origami books. 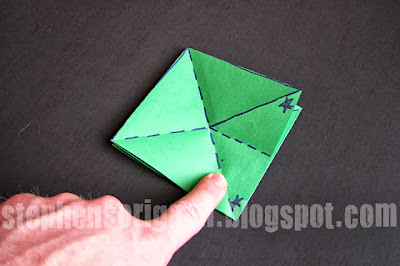 The easiest way to describe it is that all 4 corners of the square come to the same point when folding along the pre-creased lines. The next step is to add a valley fold that goes between the center and the lower right edge. 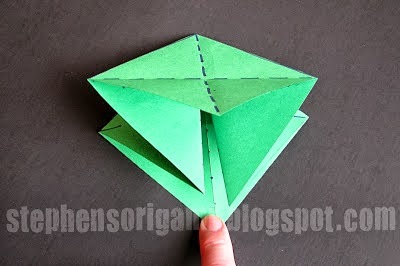 Also notice that a valley fold is turned to a mountain fold that extends from the center and goes to the right corner. 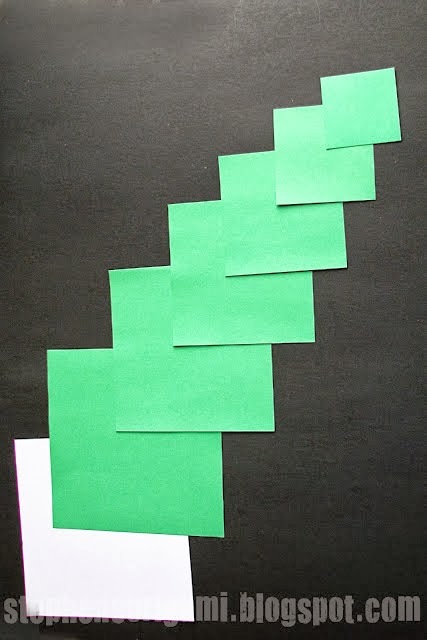 The stars in this picture are to help illustrate the next step. 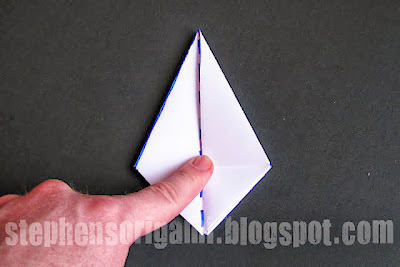 In this step the small triangle flap is then tucked down and away into a pocket. 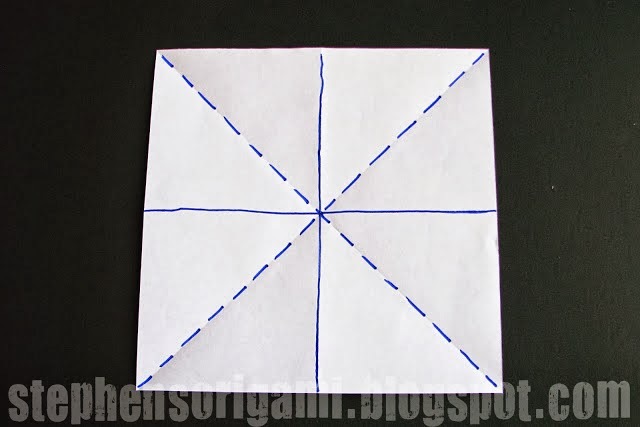 Notice the stars are no longer visible. 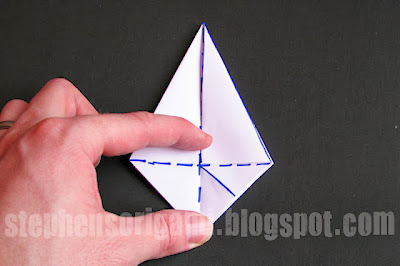 This step is a little difficult to show in a picture. 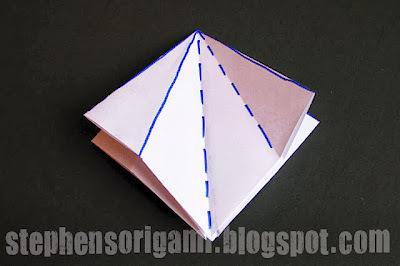 In the picture 2 steps up there was a valley fold that was changed into a mountain fold. 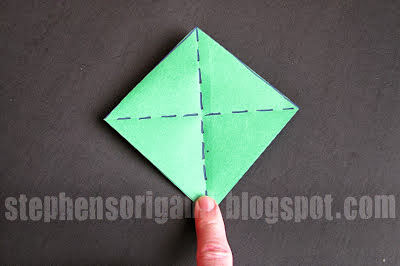 The triangle flap will slide into a pocket by means of those folds. 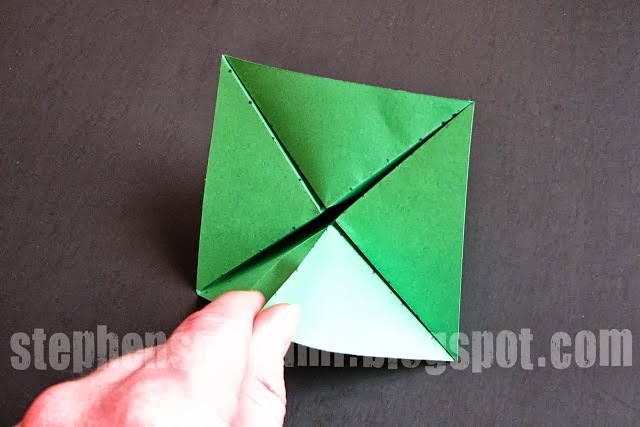 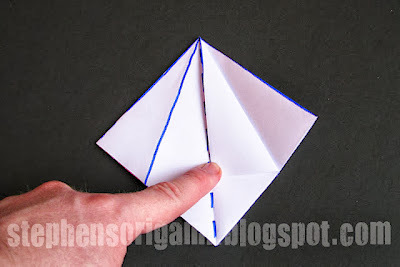 After completing this step, perform the same steps on the remaining 3 flaps to create and tuck away the small triangle flap (or in other words, repeat the last 2 steps again on each flap).